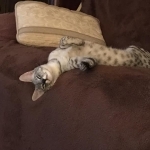 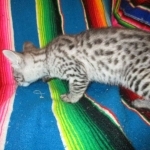 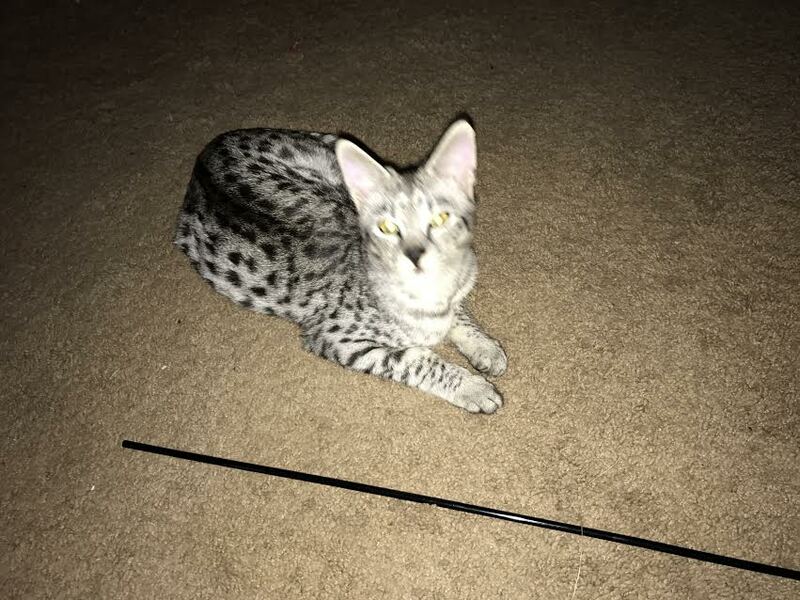 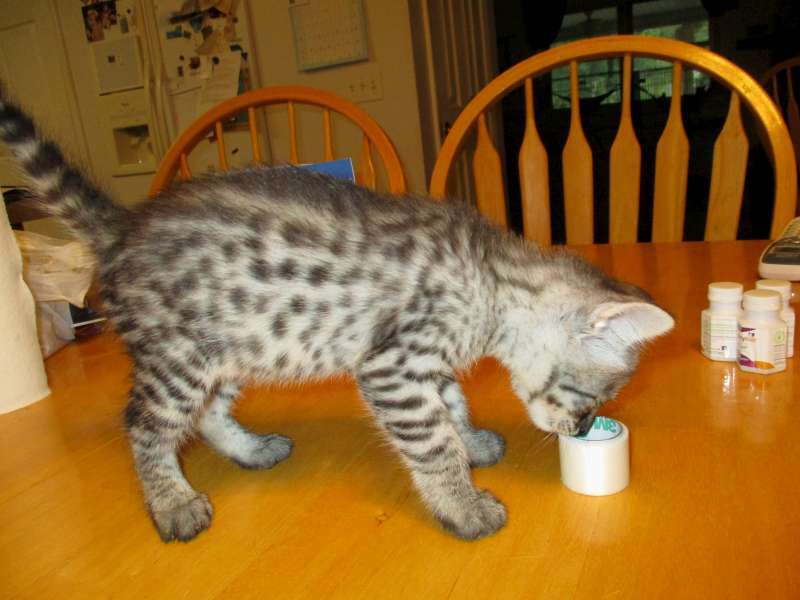 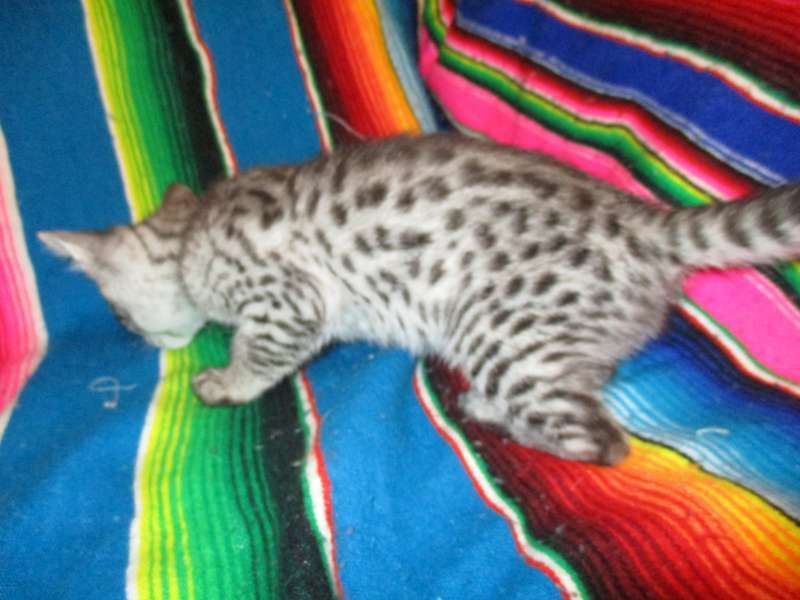 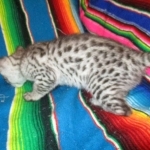 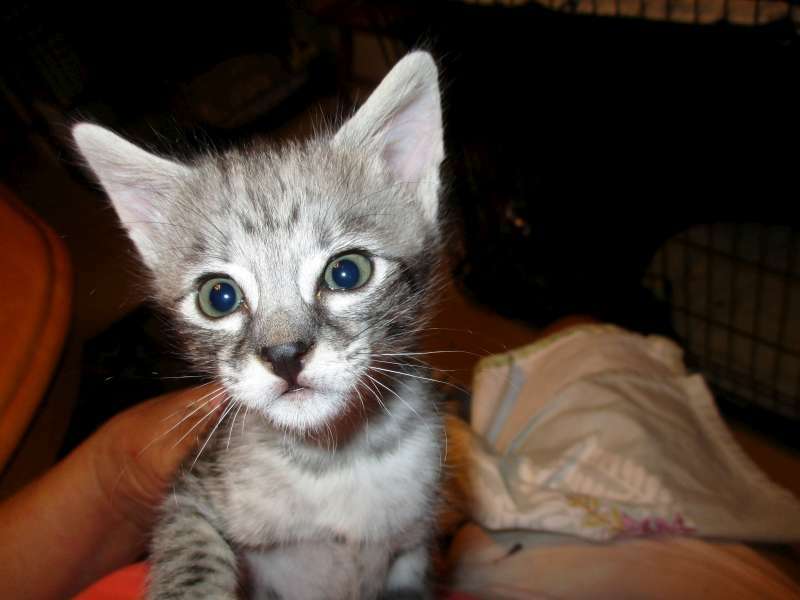 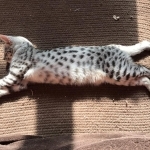 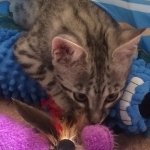 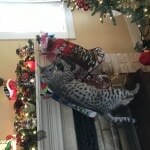 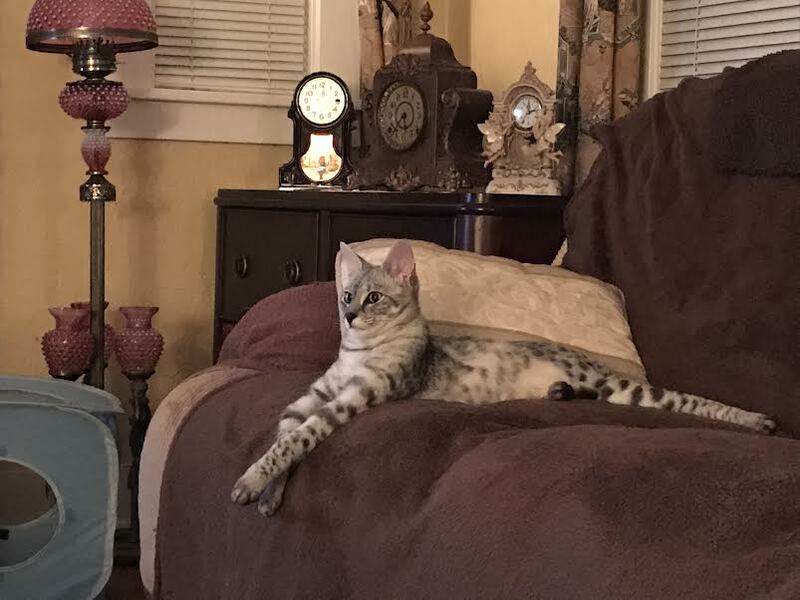 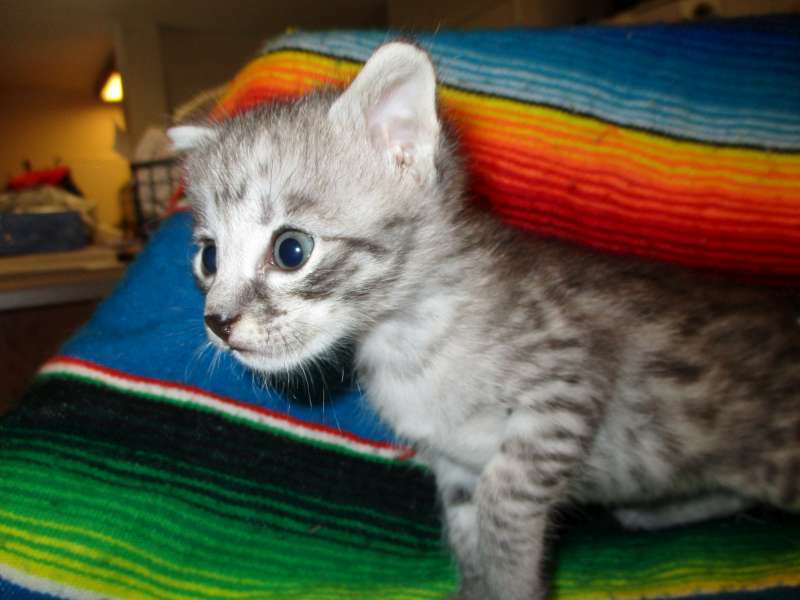 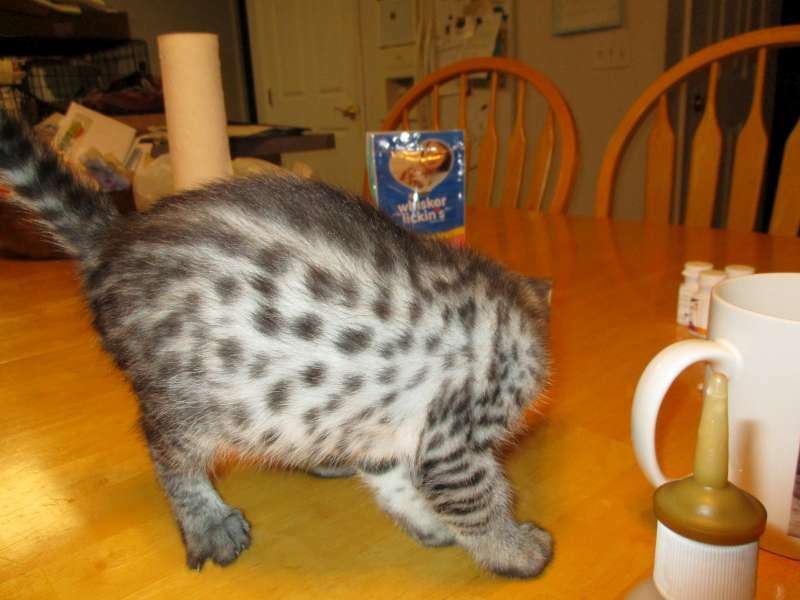 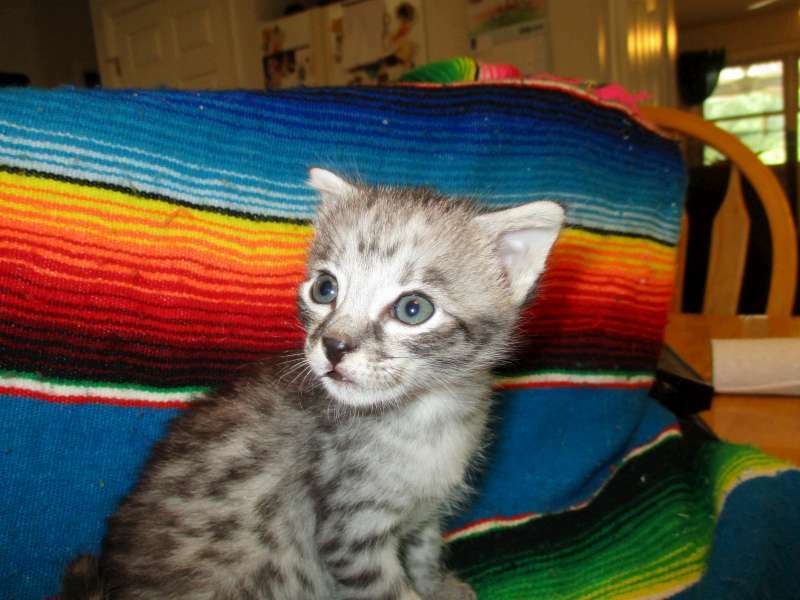 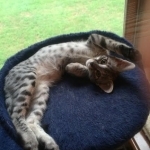 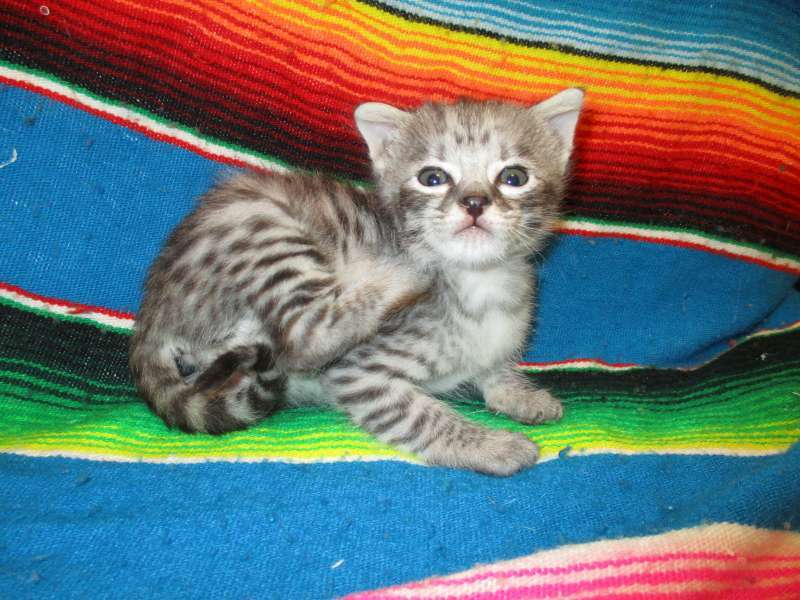 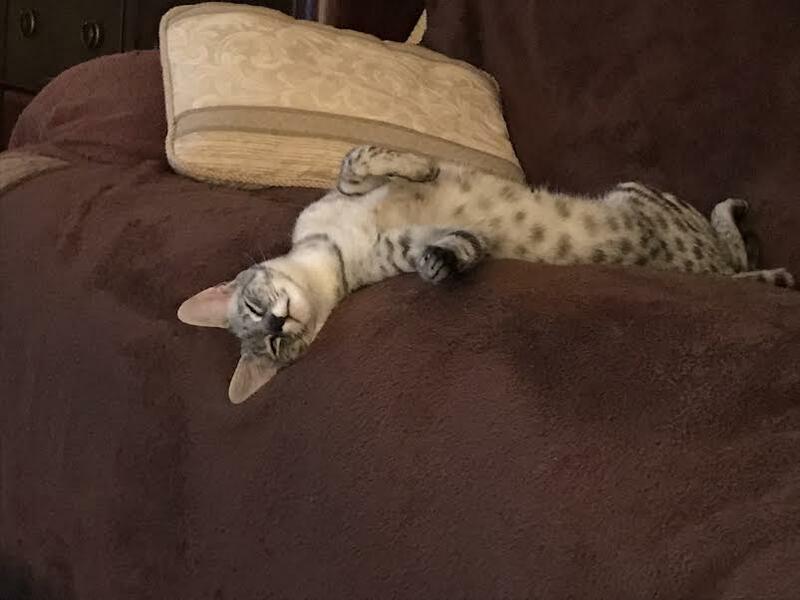 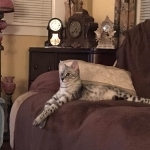 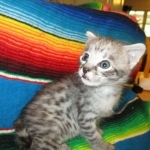 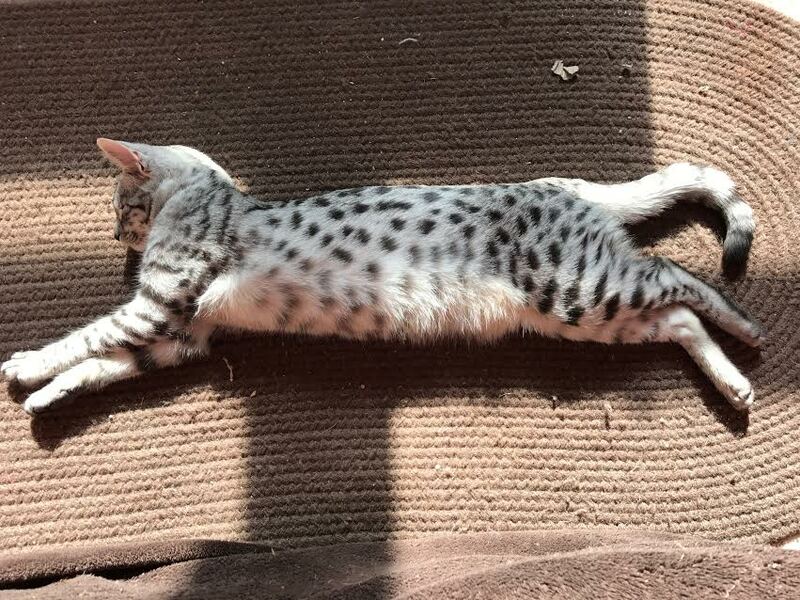 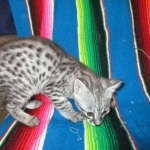 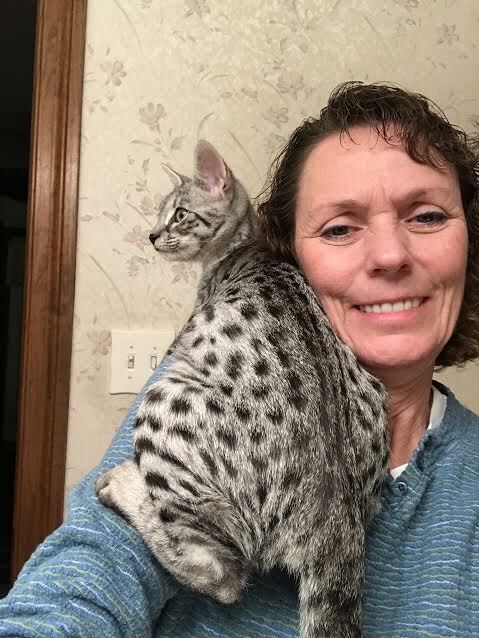 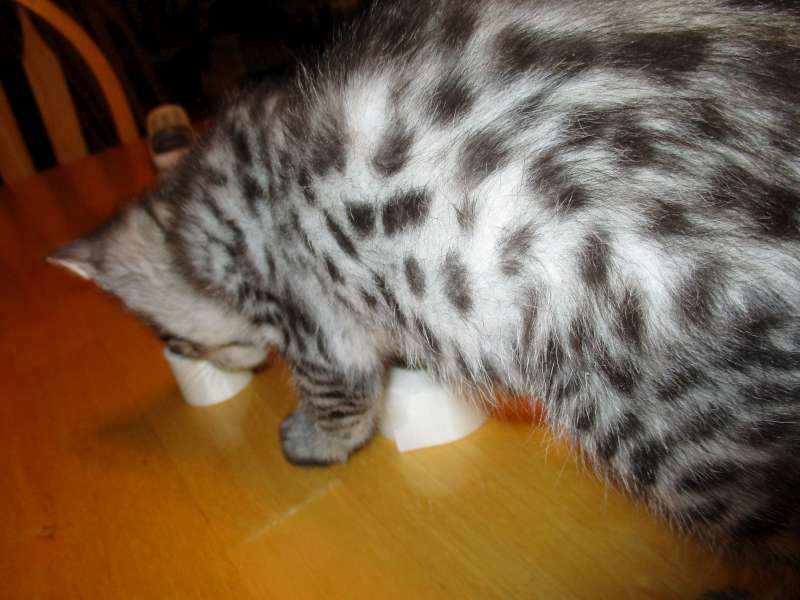 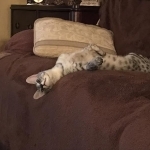 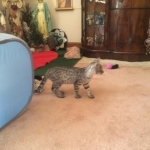 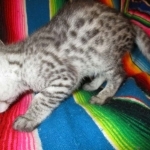 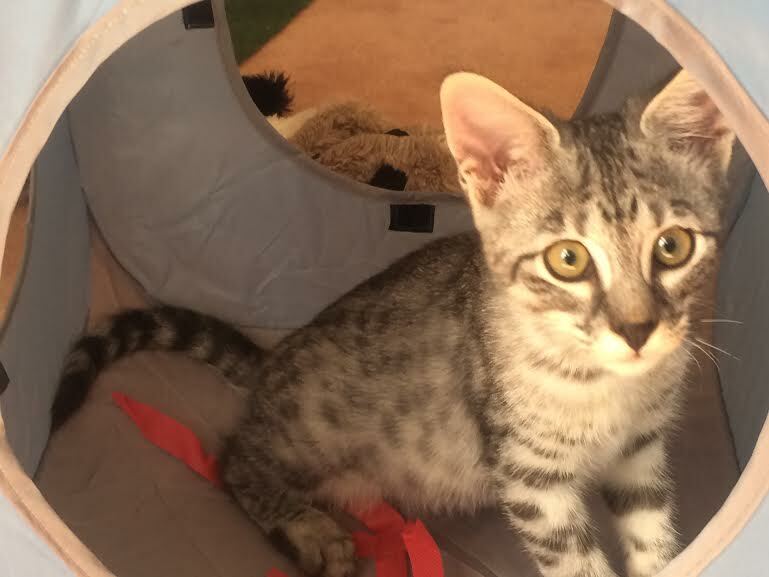 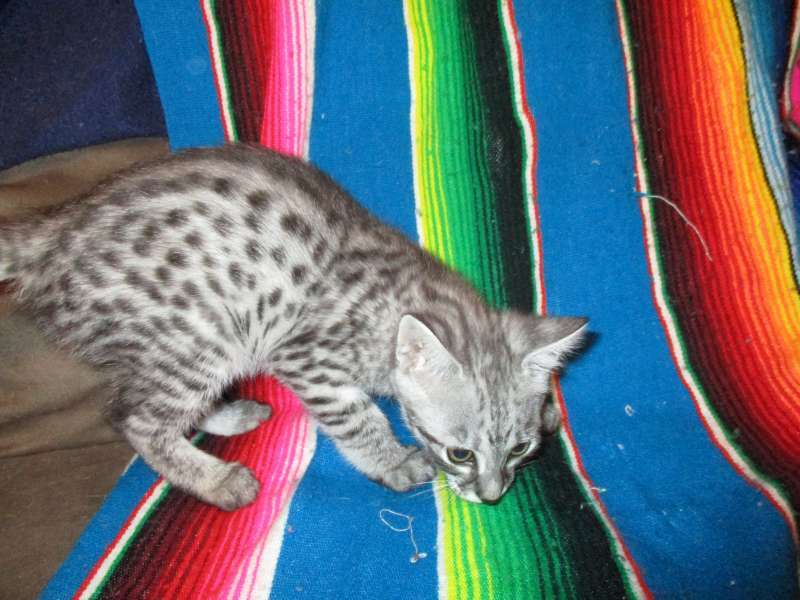 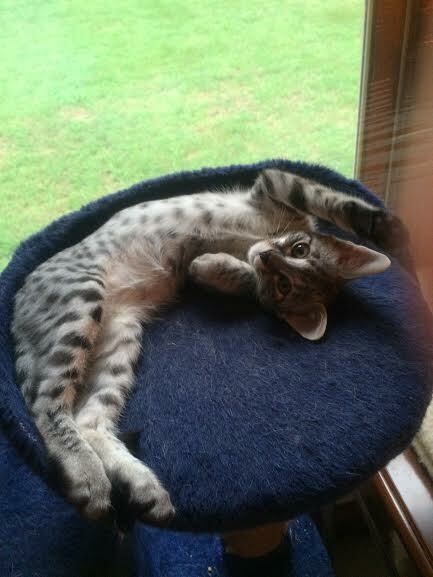 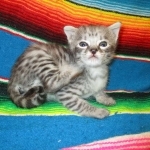 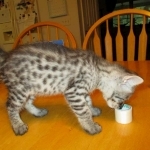 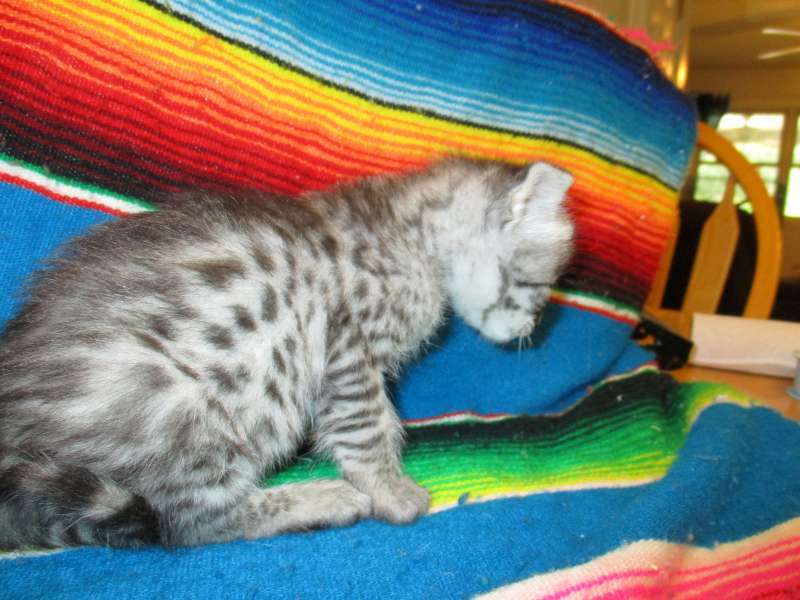 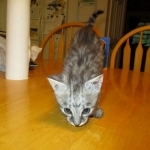 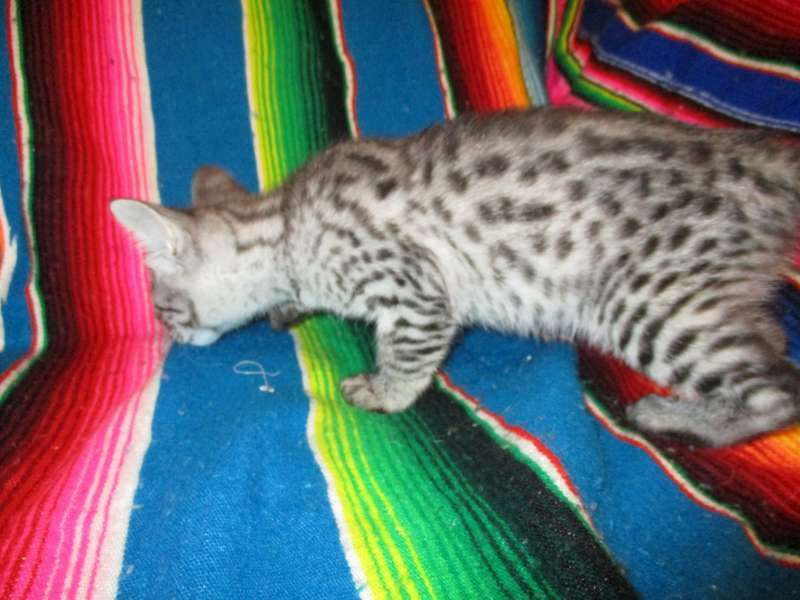 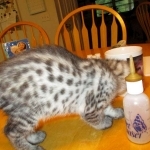 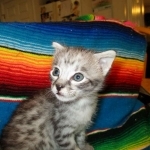 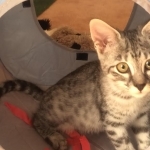 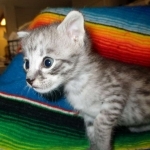 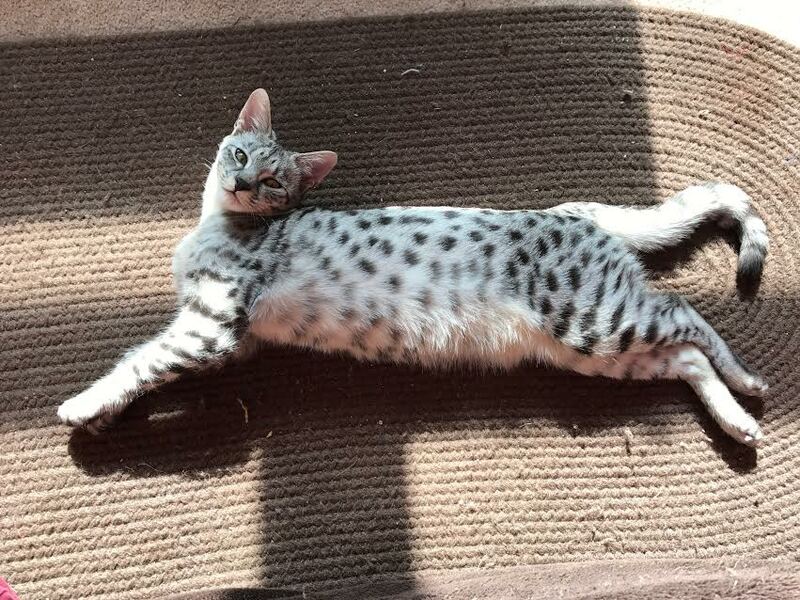 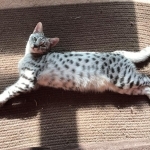 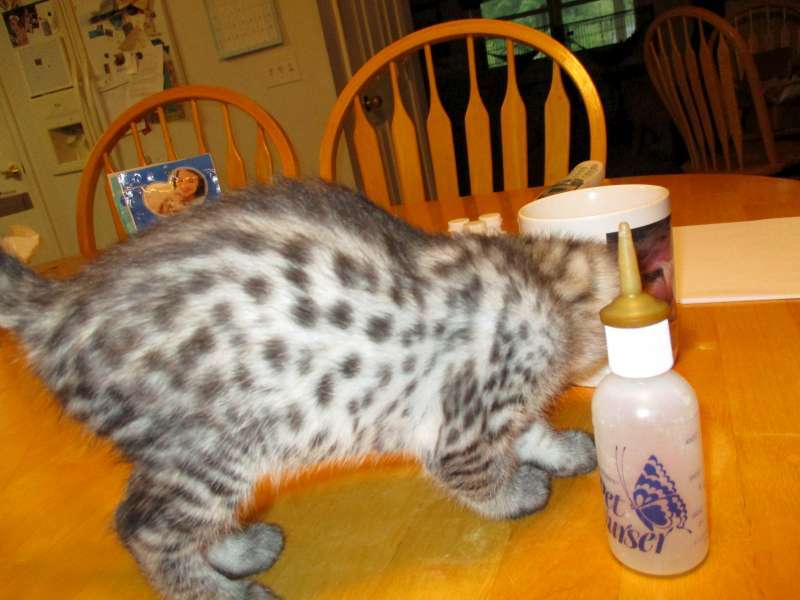 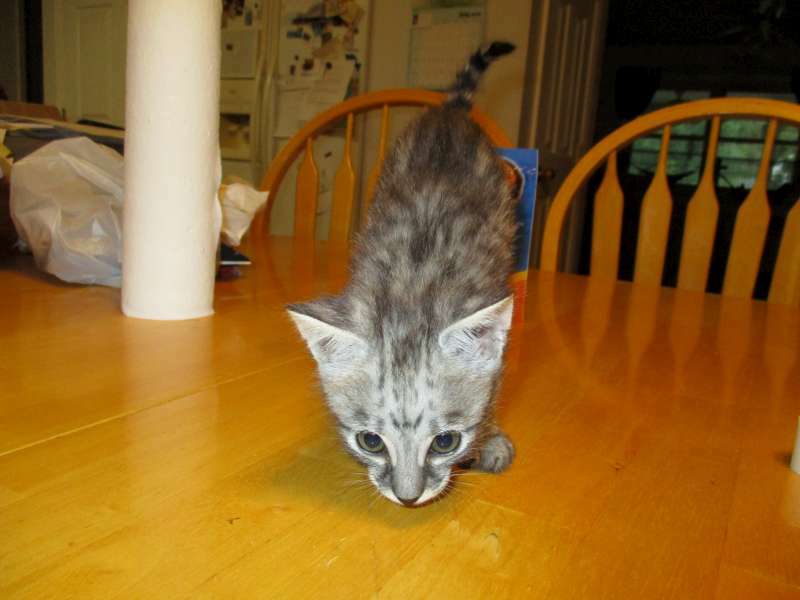 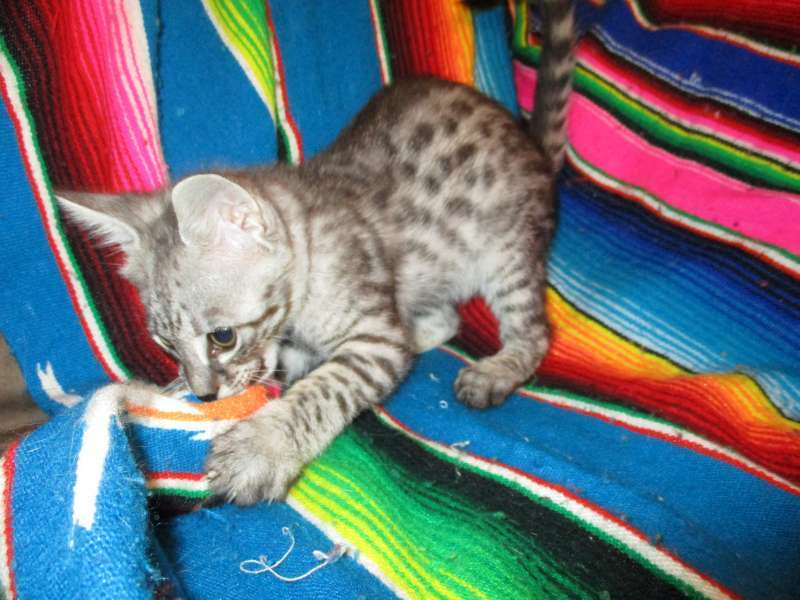 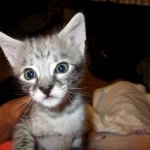 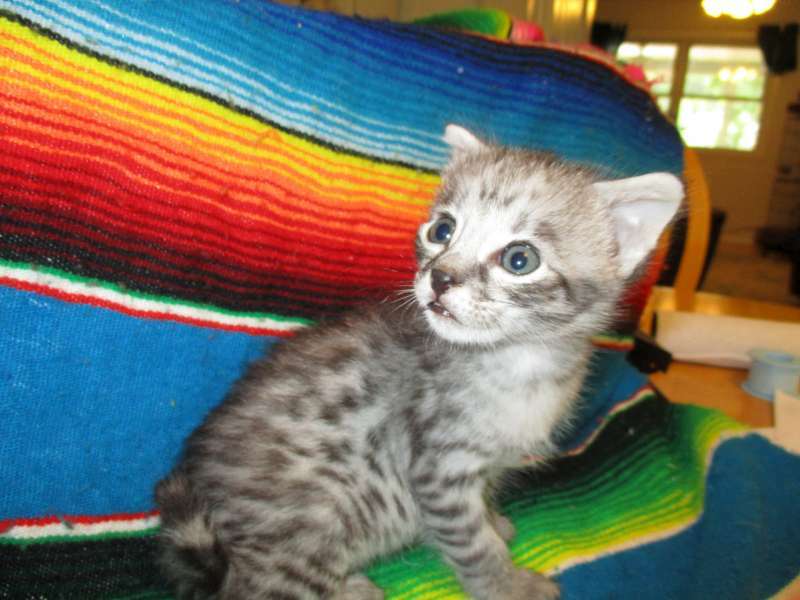 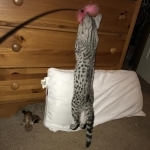 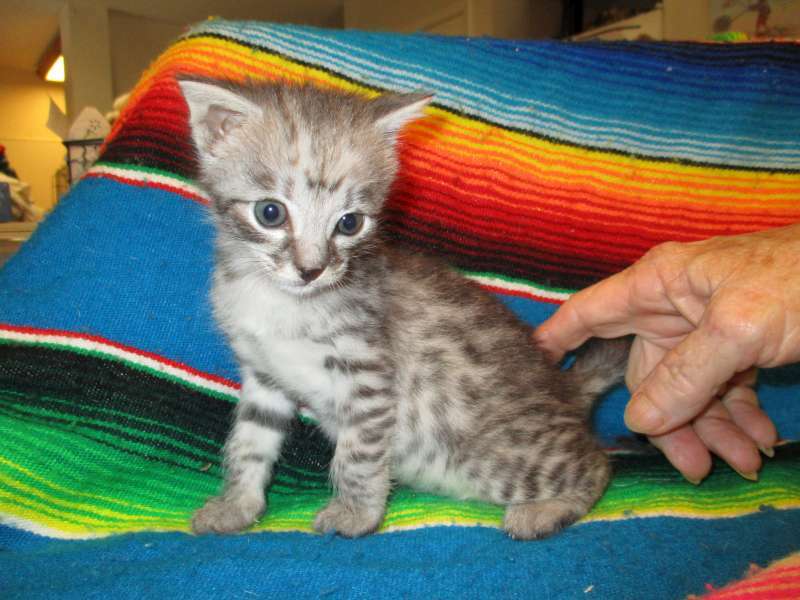 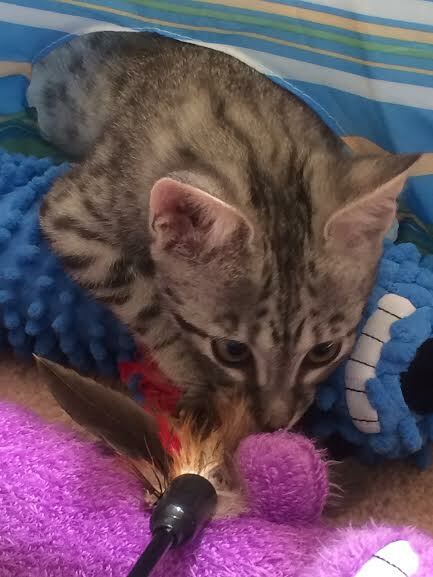 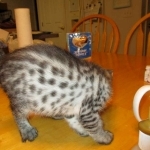 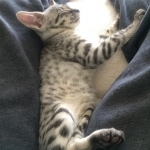 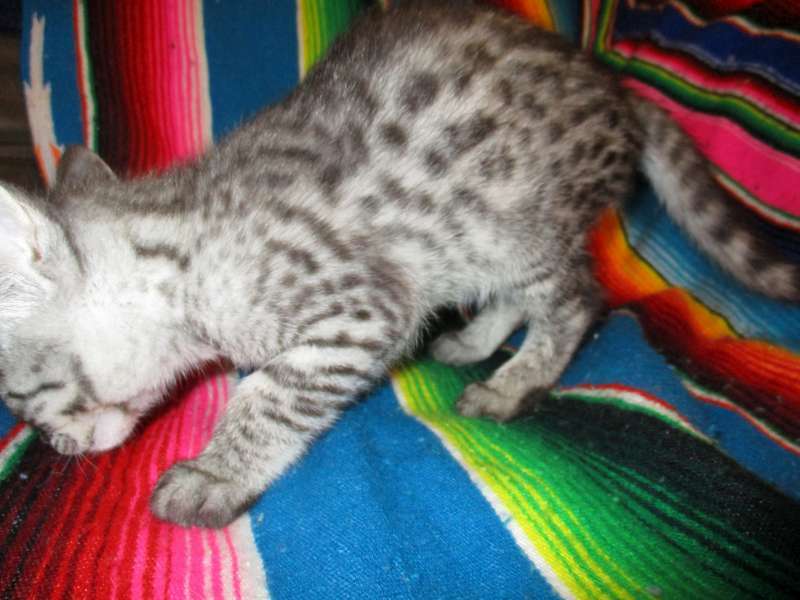 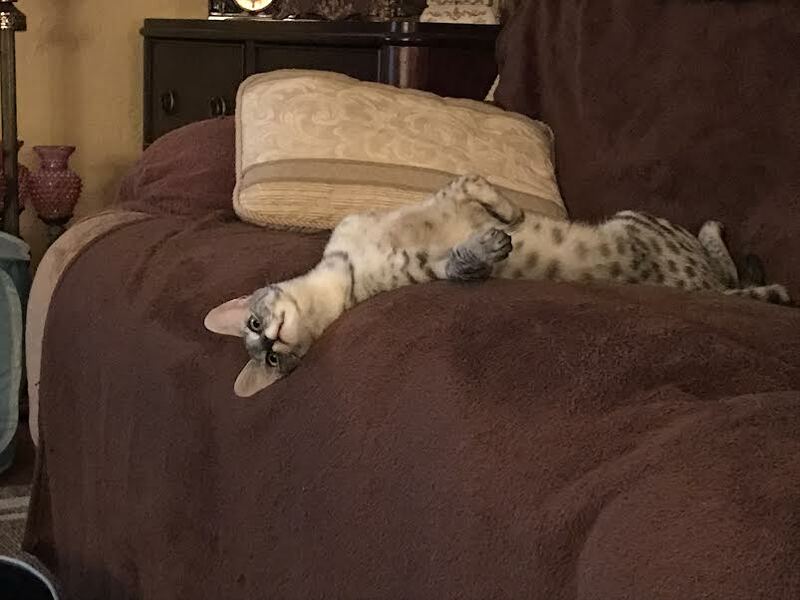 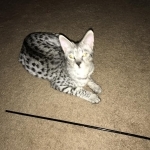 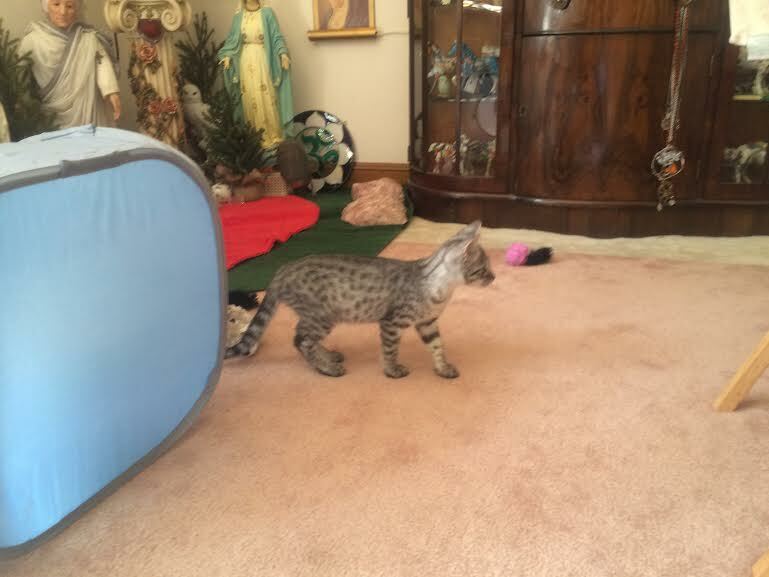 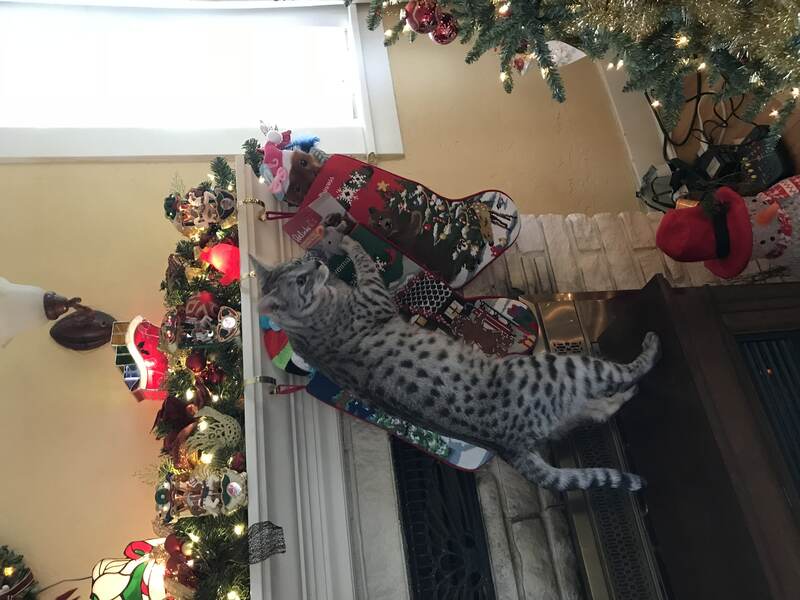 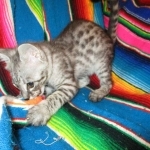 Mejestic Angel is a stunning silver F-2 Savannah girl with a great fully black nose and super spots. 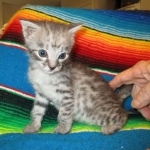 She will be going home to Sage in VA to be a beloved pet. 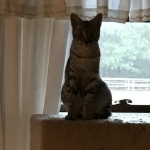 My little Angel is doing Great! 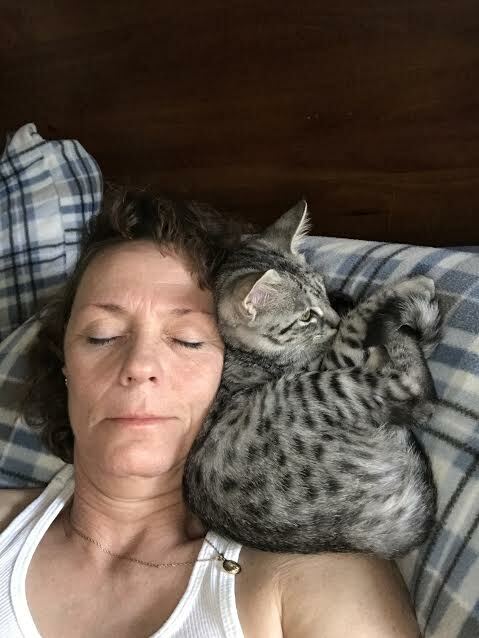 She is just a real love bug. 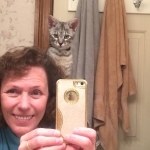 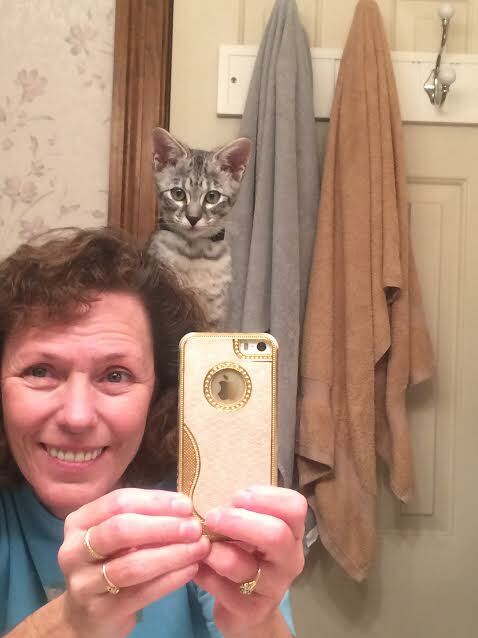 She is sitting on my shoulder. 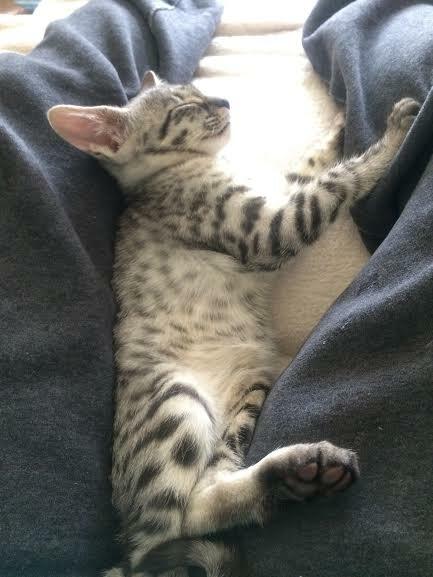 She'll lay snuggled up to my tummy and purr almost all night. 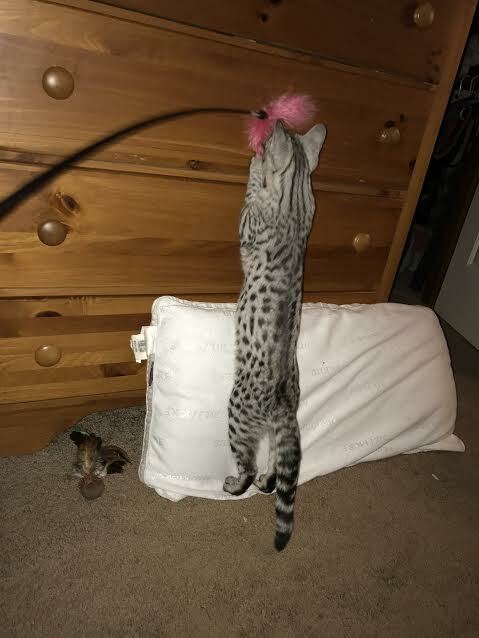 She's doing great with the leash training. 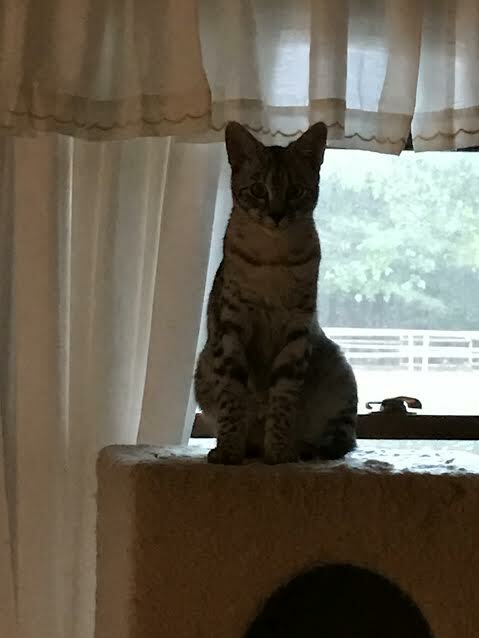 Comes when I call her. 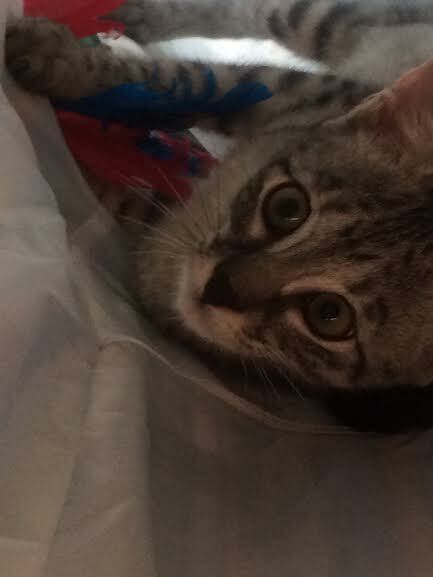 She has a huge purr box. 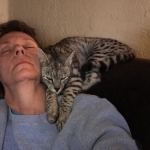 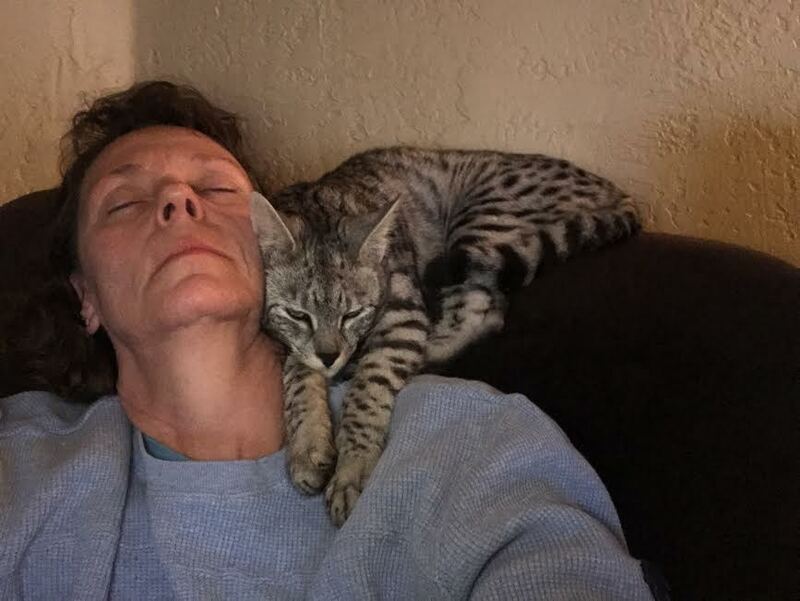 She's purring all the time. 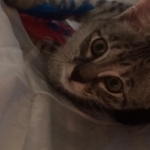 My little Angel is doing GREAT! 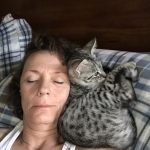 She is very loving. 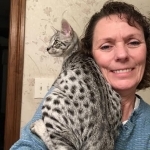 Absolutely Beautiful and very funny.